Born and bred in the Country NSW, Ginny Stevens founded the Active Farmers program in March 2015, and has since grown the program through partnerships. Upon receiving the Award, Ginny stressed that Farmer suicide rates are a static that can no longer be ignored. “The suicide rate for Australia’s farming men is about double the general male population,” said Ginny. “The program gets together the community to not only exercise and be inclusive but also to provide a regular community activity so that they’re catching up every week – when exercising and social interaction come together there are amazing benefits for mental health and community resilience. These are both very much needed in the Farming country,” said Ginny. Active Farmers stands out from any other program because it is designed and delivered to small farming communities of less than 5,000 people, and has grown significantly in the last few years. Barrie Elvish, CEO of Fitness Australia, the peak national fitness industry body, explains that the benefits of exercise and bringing people together to be active is invaluable to our mental and physical health. “It’s truly life-changing work that’s being done in these Farming communities. 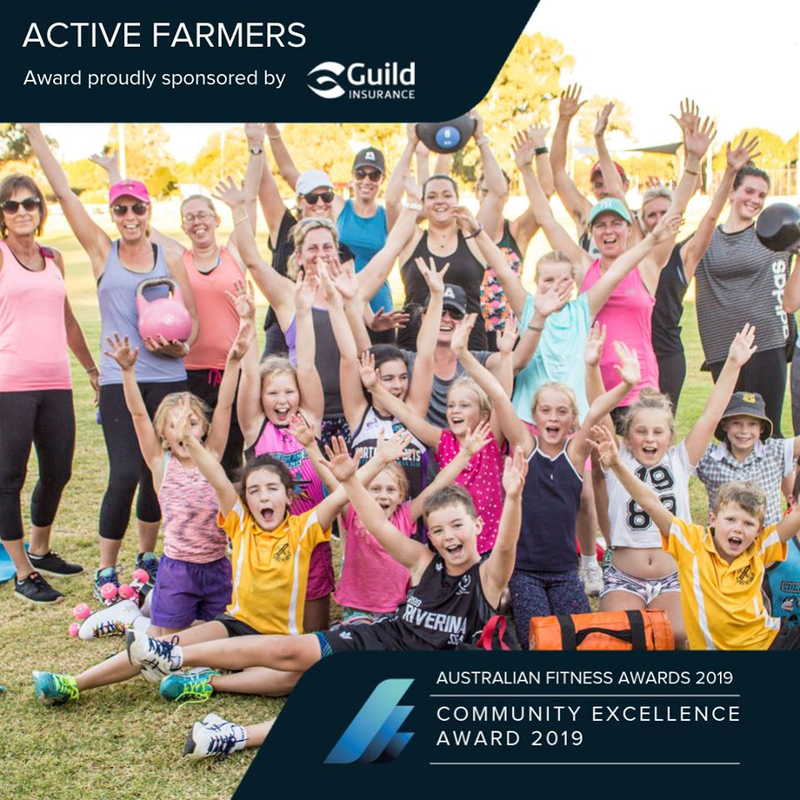 Active Farmers is a perfect example of the impact that can be made when exercise and social interaction form part of a consistent routine,” adds Barrie. The program can only be sustainable and grow through partnership, which were welcomed by Ginny. Hear about the Active Farmer’s story here. The Australian Fitness Awards, powered by Fitness Australia, are designed to recognise the remarkable contribution of fitness industry professionals and businesses, and the impact they have in their communities.